Counter Strike is one of the legendary games that was launched in the year 1997. The game has launched the edition of Counter-Strike 1.6 which later became one of the best sellers amongst the gamers across the world. 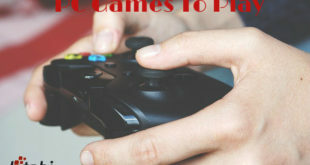 The game is an action game where a single player can play with the programmed bots or can play with the players across the world by connecting to the internet. There were various changes made in the game, and the new versions have been released since then. But the players always prefer the first version which is modified in certain ways. The developers’ company recently launched Counter Striker Global Offensive which is popular by the name CS GO. The game is a highly competitive one and has the players who are full-time professionals and never want to lose touch on their gaming skills. Over a period of time, these players have become pros and now the world leaders in the game. It is important for a player to regular play the game if they want to be good at it. It is because if you do not practice it, you will not be able to be fast and aware of the situations. After all, the experience is also one of the keys to success. Let us see what can be done to make sure that you excel in the game and have the proper consistency to maintain a good position. 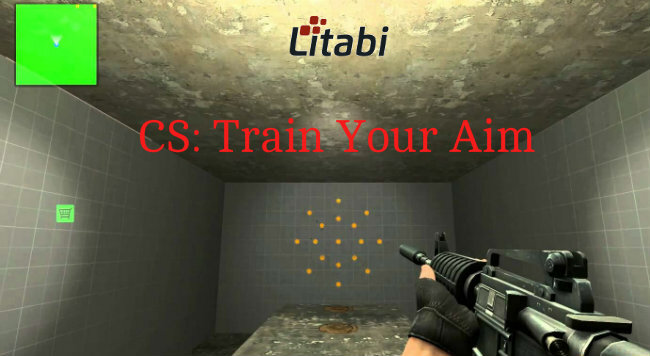 Here are the top pre-evolution CS tips for before your CS:GO training! Fundamentals mean the root of the game. The concept on which it works and the different mechanisms that the player can use while on the map of the game. For this, you will have to do certain things which include a few prerequisites too. To start with, make sure you have installed the game correctly so that there is no package missing. If there is a packing error, there might be problems such as lagging. This will not at all be appreciated in the online games. Once you have correctly installed the game, run it. Do not start with the new game already. First, read the instructions that are provided in the beginning. This will help you know the game better. Once you have read the instructions, go to the options tab and see the settings. Adjust the resolution and pointer speed according to your ability. After the basic settings go to the gameplay tab. Here, you will be able to view all the buttons and keys that will be used to play the game. Read them and understand carefully. You can also edit the keys if you wish to. After this when you start the new play, the first run will be a training run. Here, you will be given instructions and guidance to start with the actual game. Make sure you take the tutorial so that it is easy for you to compete in the real game. As we said, the experience is one of the most important things to complete any task successfully. For this, there is one thing that you will have to perfect. That is learning and knowing your surroundings. As we are aware, the opponents can be anywhere and everywhere. So, it is important that you know every corner of the map and makes sure you have your movement perfectly according to the map you are playing in. Also, in CS GO training there are some weapons to choose from. There is a broad range of guns to choose from, grenades, Molotov cocktail, etc. So, you have to decide a perfect combination according to your gameplay. Once you are familiar with the surrounding and the weapon combination, you can start with the death match. A death match means that you have to connect to a server and there will be some real players who you will play with. The team game is one of the most important aspects of playing any Counter Strike game. This is because you will never be able to play the game alone. Either you will do it with the bots or the real players. And if it is the latter, you will have to be cooperative, helpful and have a good presence of mind. You can buy gaming headphones to connect with your teams. This will make the task easier. Also, there are pro gaming tips to learn. Never think of going alone and defeating the opponent. If you do so, it will be you who will die, and your team will be one man down. The opponents will mostly be in groups, so it will be difficult for you to manage that way. So, before the game commences, make a plan with your teammates and follow the strategy. Obviously you will not be able to excel it at first go, but eventually, you will be alright. Watching videos of other players is the best way to get ready for the battle ahead. Use online videos to learn about the different commands and things that you can do within the game and don’t wait until you’re in the middle of the armed conflict to start questioning what your capabilities are. It can be very helpful for that and also for positioning. Instead of going in blindly on a map you have no clue about, watch some videos first so that you when you first spawn you know where everything is and you don’t run around like a headless chicken. These are the basic tactics and suggestions to excel in your Counter-Strike gameplay. Do you have any better suggestions? How to Choose Headphones for Music?